Fairy Inspiration Cards - Fairy Inspiration Workbooks arriving Sometime in 2019! In a World, where anything is possible, the fairies do exist, although residing in other realms and seem to prefer to remain invisible to the human eye. Centuries ago, Fairies played an important role in human culture, but as the belief in magic began to die, the fairies began to disappear with it. While it appears the Fairies have remained safely out of sight, they have revealed themselves to humans in indirect ways over the years, through artwork and literature, such as children’s “Fairy Tales." In the last ten years or so, we have seen the Fairies come out of hiding again, gracing us with their magical presence in a variety of ways. Fairies appeal to our inner child in a way, unlike any other beings and continue to delight us with their joyous and child like nature. When we connect with the Fae, we reconnect to our most authentic Heart space! The Fairy Inspiration cards are designed to help us connect with the Fairies and their special brand of magical inspiration, inspiring us to get back to our center, to our Core and live in our Heart space! When we get reconnected to our Core Heart Center, life becomes so much easier and more enjoyable! We also have better clarity and focus! Being connected to our Core Heart is at the very foundation of authentic living and empowerment! When we have a strong and solid authentic connection to our self, we know who we are, what we want and are focused on allowing and achieving it! It helps us in every area of your life! It is the key to reclaiming our empowerment and living our most authentic life! The fairies in this deck want to help you, reach your Core Heart Center and help you get clear about your most authentic intentions! The Fairy Inspiration cards/deck was created by Reiki Masters, Heyde Faye Class and Tracy Dunbar. 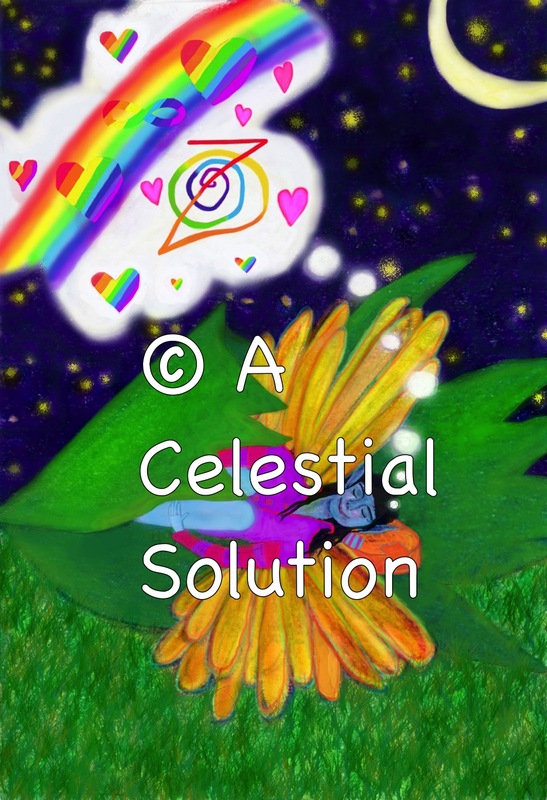 In 2011, what began as a desire to create a Fairy Reiki card deck by Heyde, slowly evolved into Fairy Inspirations, a deck designed to help inspire and build the connection to our Core Heart Center. ( Our Inner Child) Tracy created all the art work, bringing the fairies to life through her unique vision of color and light. Heyde, who is also a Professional Psychic Medium, shared her vision of the fairies who were ready to assist humans in their transformations. The deck was very much a team effort! We both hope you love working with the Fairy Inspiration Images, as much as we enjoyed creating it. Very special thanks to both Jen Keriwan, who turned our fairy creation into a gorgeous, formatted deck and Amanda Romania, who inspired me, sharing some great ideas, on how to put the deck all together. The six Fairies to the side, can currently be purchased as a single card: Top row: The Fairy of Fortune, The Cosmos Fairy, The Fairy of Air. The Bottom Row: The Crystalline Fairy, The Dream Fairy and The Fairy of Fire. **Each Image is $3 each or a Laminated Version for $6. ** Tax for all states is 9.85%. Shipping and Handling is $1 for 5 cards or for 3 laminated cards. It goes up a $1 for each additional 5/3 your order. A Fairy Inspiration and Healing workbook will likely be available, sometime in 2019. Tracy Dunbar was raised in Dallas, Texas where she was not satisfied with the paved world, so she started drawing to escape and to construct new realities at the age of 4. She has not stopped making marks since! At the age of 22, she had a monumental life experience that took her investigations into art and the nature of reality in an entirely new direction. She hopes her images reflect such an inward investigation. Her most prominent influences are Hieronymus Bosch, Frida Kahlo, Vincent Van Gogh, Mario Martinez, Jean-Michel Basquiat, graffiti art, some comic book art and various cartoons and anime. Tracy has always enjoyed playing with the fairies and was excited to commemorate them in this project with Heyde Faye Class. Currently, Tracy resides in Tuscon, Arizona where she is enjoying life in the Southwest and is busy finishing up some illustration projects. She is also preparing to make an entire new body of visual Artwork. Heyde Faye Class has always loved fairies and use to see them as little lights, flying and racing around in our physical 3D Universe, when she was a pint sized human. ( Now she sees and hears the Fairies with her Psychic senses.) Her Grandma Hankins, believed in the Fairies, and nurtured this belief of the Fairies in little Heyde! Heyde spent many summers as a young girl, at her Grandma’s home in the Lake of the Ozarks, chasing and playing with the Fairies. With the middle name of FAYE, there is no doubt she was and/or is, a Fairy in some other life time or a parallel life! Fay is another name for Fairy. One day, in 2011, she got a very loud and clear message, that many fairies were ready to come out and show themselves. She knew she was the chosen person for the task for these specific 5th dimensional fairies to reveal themselves, however, as a Metaphysical word weaver, drawing them into life, was not her strong suit! After she attended her second Reiki Master class in July, 2011, she met who is now loving called, her Reiki Lil sis, Tracy Dunbar. A few months later after seeing one of her very clever and magical fairy drawings, Heyde knew, that Tracy was her creating partner for this Fairy project! Seven years later, the Fairies where finally ready to come out as group in the Fairy Inspiration Deck, although, as it always is with Fairies, plans have changed and a workbook will be coming sometime in 2019! You can read more about Heyde, under the Life as a Way Seer tab!